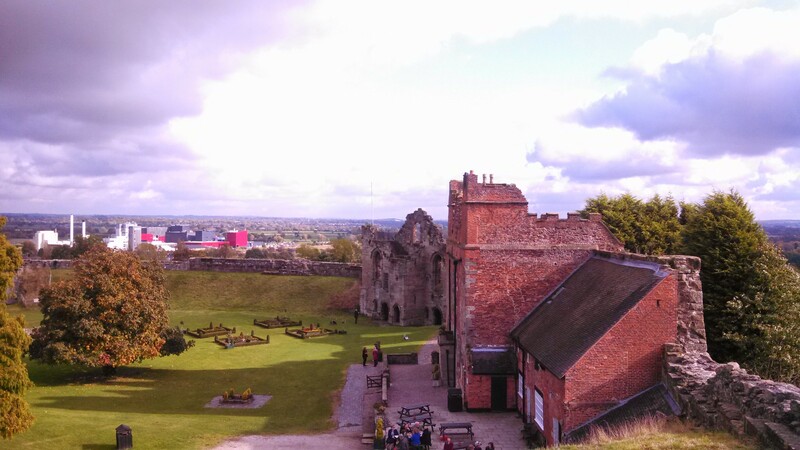 Our Mary Queen of Scots tour included a visit to Tutbury Castle. Mary spent time there when she was being held in genteel custody by Queen Elizabeth I of England. I had always heard that Mary hated this castle so I was curious to see it. I wasn’t disappointed. Not much of the castle is left but what remains is very atmospheric and a jumble of interesting buildings. After looking into the history of the castle, I now understand why. Recent excavation at Tutbury has unearthed items from the Stone Age and it may have been a residence of the Saxon kings of Mercia. It is easy to see why the site has been inhabited for many eons. The castle sits high up on a slope that overlooks the River Dove which winds slowly by. From the top of the slope there are splendid views of the Dove plain stretching out to the Derbyshire hills. The site is in a superb defensive position. Shortly after William of Normandy conquered England at the Battle of Hastings in 1066, Tutbury was granted to Hugh d’Avranches. Hugh was a councilor to William and his father had funded sixty ships for the expedition to England. A motte and bailey castle was constructed sometime between 1068-9 on the site. In 1071, the title of Earl of Chester became vacant and William bestowed it on Hugh. Upon his promotion, Tutbury and the surrounding territory were granted to one of William’s Anglo-Norman knights, Henry de Ferrers who had fought at Hastings. There is a listing in the Domesday Book of 1086 for Tutbury Castle and the borough. Henry was one of the most powerful of William’s magnates and an able administrator in Staffordshire and Derbyshire. Henry, along with his wife Bertha, founded Tutbury priory along with two manors. In the early twelfth century, the wooden tower on the motte was replaced by a stone keep. From 1114-1146, the castle was the chief residence of Robert Ferrers, third son of Henry. In 1138, Robert participated in the Battle of the Standard during which English forces repelled an attack by David I, King of Scots. As a reward, Robert was made 1st Earl of Derby. In 1153, during the civil war called the “Anarchy” between the Empress Matilda and King Stephen, Tutbury was besieged by Matilda’s son Henry of Anjou who later became King Henry II. The castle is described as being highly fortified and impregnable. By the 1170’s, the Ferrers family was in conflict with King Henry II and supported his son Henry the Young King in his rebellion against his father. 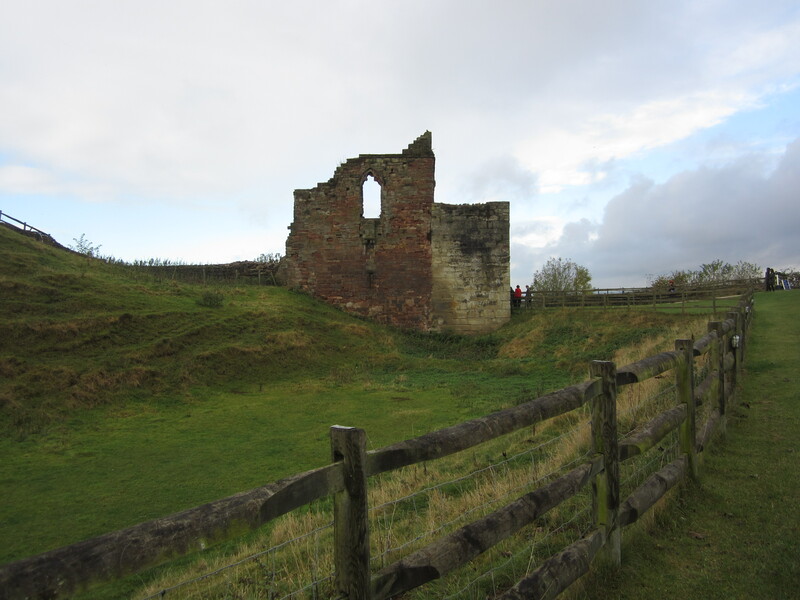 Tutbury Castle was besieged by Rhys ap Gruffydd, Prince of Debeubarth on behalf of King Henry. William Ferrers eventually settled with the king but Henry ordered the castle be destroyed. In the late twelfth century, a chapel was erected on the grounds, the foundations of which can be seen today. The castle was being reconstructed by the early thirteenth century and in November of 1251, King Henry III spent a few days at Tutbury and in 1257, Henry’s queen, Eleanor of Provence moved to Tutbury. By 1263, Robert de Ferrers was in conflict with the King and in the next year, King Henry’s son, the future King Edward I, attacked Tutbury doing terrible damage. The estates of Robert were confiscated and given to King Henry’s younger son Edmund Crouchback in 1266. 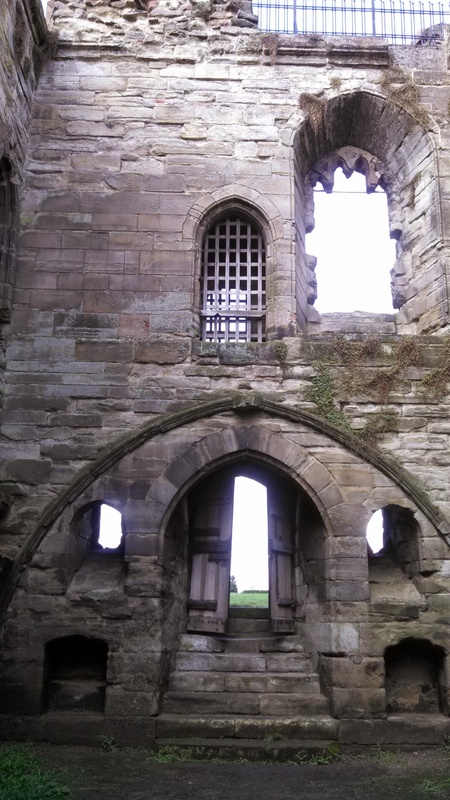 Edmund began restoring the castle and was given the title of earl of Lancaster, making Tutbury part of the Lancaster estate. By 1298, the castle had been fully restored and built with a garden, a walled yard, vineyard, meadow and fishpond. 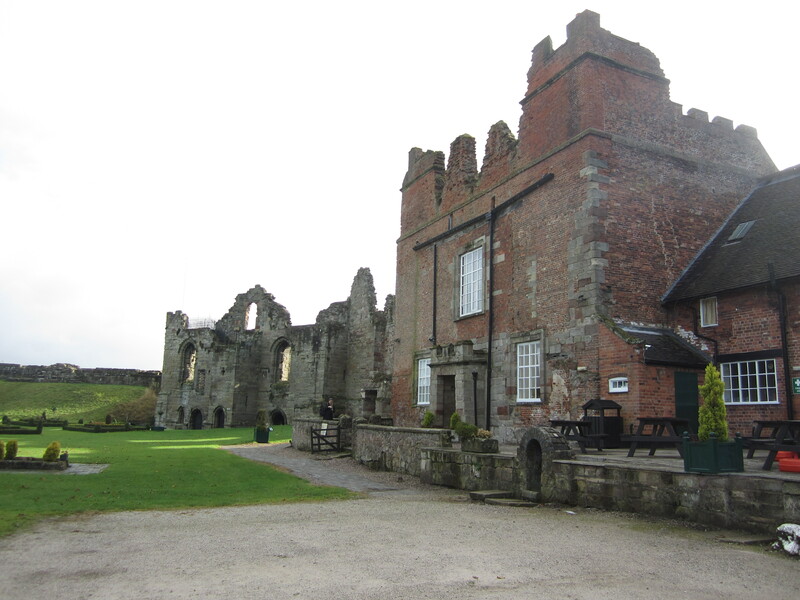 Either Edmund or his son Thomas built a great hall and a range of buildings to the south. 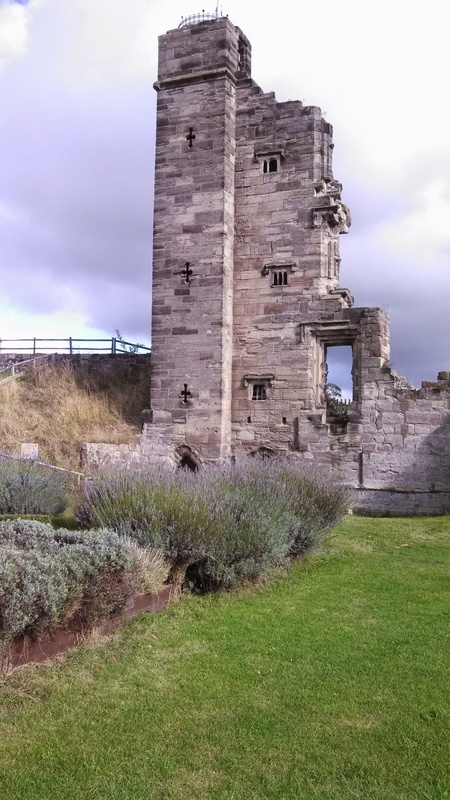 Thomas made the castle his primary residence from 1304-1319 and built a tower over the gateway entrance costing £100. On March 10, 1322, Thomas was one of the leaders of a rebellion against King Edward II. 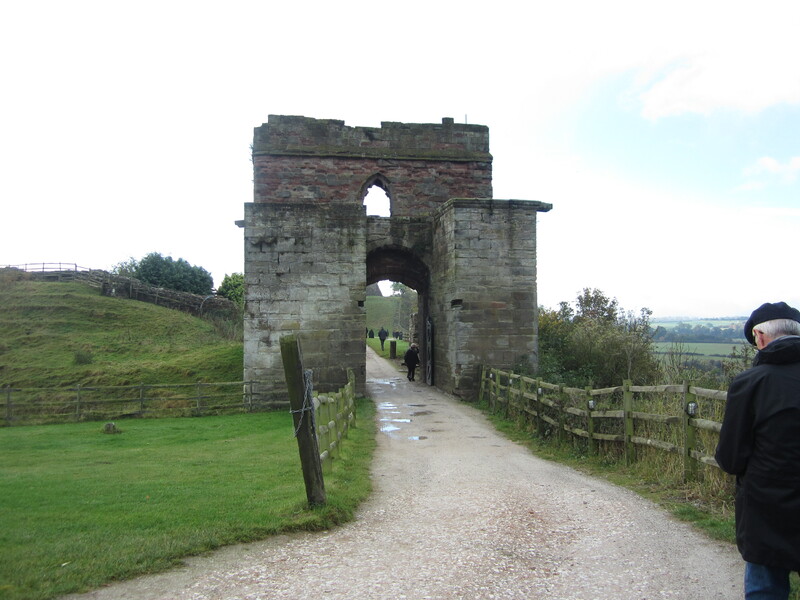 Edward was marching with his army toward Tutbury and Thomas hoped to stop him at Burton Bridge which he had fortified. It was supposedly the only crossing over the River Trent but Edward found another crossing over a ford at Walton. He surprised Thomas who was utterly defeated. He retreated to Tutbury where he expected reinforcements from Scotland. They never arrived and Thomas was forced to flee. 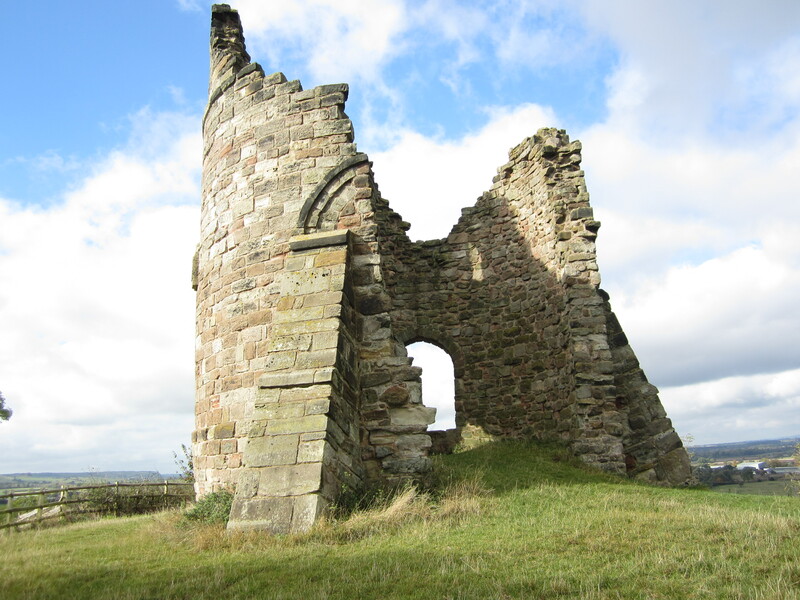 The King had Tutbury Castle demolished and Thomas was executed at Pontefract on March 22. Interestingly enough, Thomas had with him a hoard of coins which were probably going to be used to pay his troops. When the King attacked the bridge, the coins were hidden in the banks of the River Dove. In 1831, the coins were found and are known as the Tutbury Hoard. They include coinage from England, Ireland, Scotland and mainland Europe, numbering between one hundred and three hundred thousand with coins from the reigns of Henry III, Edward I, Edward II of England and Alexander III of Scotland. The Hoard now resides in the British Museum. By 1326, Tutbury was granted to Thomas’ younger brother Henry. In 1334-5, Henry’s daughter Mary was married to Henry de Percy at Tutbury. Upon Henry’s death in 1345, his son Henry de Grosmont inherited Tutbury. King Edward III made Henry the first Duke of Lancaster in 1351 for services rendered, especially during the naval Battle of Winchelsea where he allegedly saved the lives of King Edward’s sons the Black Prince and John of Gaunt. John of Gaunt married Henry de Grosmont’s heir, Blanche of Lancaster thereby becoming the next Duke of Lancaster. Tutbury Castle had been abandoned since 1322 and the King allowed John to rebuild the castle which became his principal residence. He stayed at the castle many times with his second wife Constance of Castile who personally laid out the gardens. When John of Gaunt died in 1399, Tutbury came into the possession of his eldest son Henry Bolingbroke, Earl of Derby. Henry deposed his cousin King Richard II to become King Henry IV, the first Lancastrian king. The castle was now crown property. New walls and towers were added to the castle between 1404 and 1450. Tutbury was given to Queen Margaret of Anjou, wife of King Henry VI in 1449. She was mistress of the castle until 1461. By 1480, some of the buildings were unsteady and in danger of falling. King Henry VII invested in a new range of buildings and a garden. In 1511, King Henry VIII visited Tutbury. In 1516, the kitchen roof fell down. In 1523 there was a survey of the castle. Many buildings were found to have defective roofs and the curtain wall had a huge split. From 1561 to 1566, some repairs were made. In 1568, Mary Queen of Scots was deposed. After a dramatic escape from the castle of Loch Leven, she arrived in England and began her nearly twenty years of custody. Queen Elizabeth I ordered Tutbury be made ready as a prison to hold Mary. 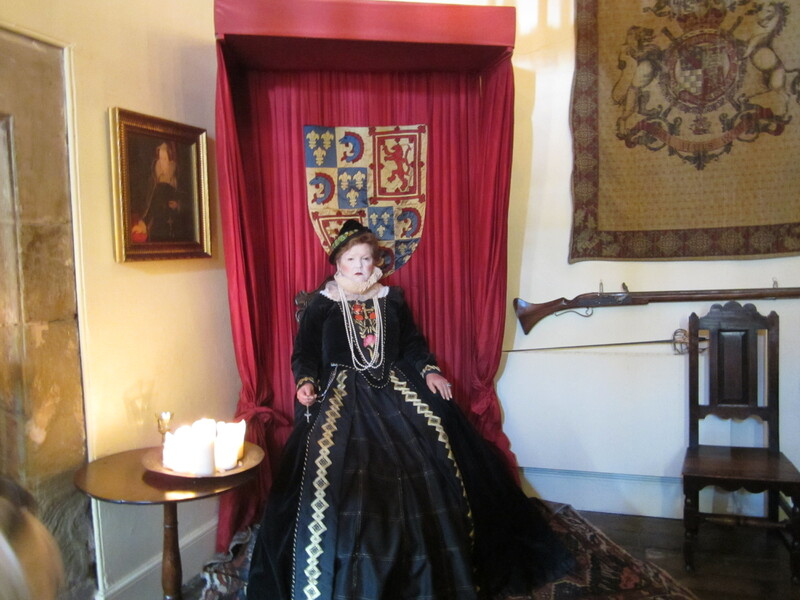 In February of 1569, Mary arrived at Tutbury under the care and guardianship of George Talbot, Earl of Shrewsbury. Almost immediately, Mary complained bitterly of the damp, the wet plaster and the draughty ill-fitting carpentry of the castle. She said the wind whistled through her chamber. Much of the castle was in ruins and there was a large marsh located just below the castle which emitted humid, noxious and unpleasant fumes. Mary was used to exercise taken outdoors and she loved to hunt. Her days at Tutbury were spent reading and doing needlework with Bess of Hardwick, Talbot’s wife. She found her imprisonment depressing and her health suffered. Mary was moved between Talbot’s properties at Sheffield, Wingfield Manor, Chatsworth, along with Tutbury and others. She spent most of 1569 there and part of 1570. She returned to Tutbury for a longer stay in 1585 under a new guardian, Sir Ralph Sadler, Chancellor of the Duchy of Lancaster. Sadler found his commission distasteful and treated Mary kindly. She was allowed to have a billiard table and Sadler would let her hunt in the park with fifty to sixty horse guards. When Elizabeth received word of this she was furious. A new gaoler, the puritan Sir Amyas Paulet was appointed in April of 1585. One of the first things Paulet did was remove Mary’s cloth of state over her vociferous objections. Mary had been allowed to walk in the gardens and Paulet stopped this. Some of her servants had been allowed to use the wall walk near the gate and to carry pistols. All this was curtailed. He no longer allowed Mary to give alms to the townspeople. In July Mary was permitted to hunt deer with her greyhound in a nearby park. In August Mary was lobbying to be moved so Tutbury could be “sweetened” but suitable lodgings were not available. By Christmas, she was taken to Chartley Castle. Shortly after this she was found to be plotting to kill Queen Elizabeth and place herself on the throne of England. She was found guilty and executed at Fotheringhay Castle on February 8, 1587. When Queen Elizabeth died, Mary Queen of Scots’ son James became James I of England. Both James and his son Charles I used Tutbury as a hunting lodge. When the English Civil War began, Tutbury’s defenses were strengthened. Prince Rupert of the Rhine, nephew of Charles I, lodged in Tutbury after the Battle of Naseby in 1645. The castle was one of the last bastions to hold out for Charles I and came under siege by Parliamentary forces in 1643 and 1646. Sir William Brereton captured the castle after the last siege. The castle surrendered under the condition that it be destroyed. The Protector, Oliver Cromwell paid for Tutbury to be demolished. It took about two years, leaving most of the ruins we see today. With the Restoration of the monarchy in 1660 a few repairs were made but in 1662, some of the timber and stone was confiscated for use by the local population to build their own homes. More demolition occurred in 1751. From 1780-92 the castle was leased by Lord Vernon of Sudbury. He built the mock ruin or “folly” seen on top of the hill today. In the early nineteenth century, farm buildings were erected which today hold the kitchen and tearoom. In 1832, it was proposed that Tutbury be used as a prison but the Duchy refused to consider it. In 1847, tickets were being sold to tour the castle and by 1952, it was no longer used as a farm. From 1955-60, excavations revealed the entire foundation of the chapel. Queen Elizabeth II has visited Tutbury several times and in 1999, the Smith family began leasing the property. In 2000, the staircase to the Great Hall was rediscovered and reopened. While our tour visited, curator and historian Lesley Smith gave us a show in the Banqueting Hall, acting as Mary Queen of Scots and telling us her story. That made our visit even more special.